KSRealityBites: Blood chip diagnoses diseases within minutes! Blood chip diagnoses diseases within minutes! WASHINGTON: Now a blood chip can be possible to diagnose diseases within few minutes. Yes, its true! Scientists say that a self-powered, low-cost chip can test blood samples & diagnose diseases like tuberculosis & HIV within minutes! The device has been developed by researchers from the University of California, Berkeley (UCB), Dublin City University & Universidad de Valparaiso (Chile). 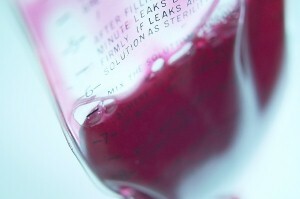 It is able to process whole blood samples without the use of external tubing & extra components. The researchers 've dubbed the device SIMBAS, or Self-powered Integrated Microfluidic Blood Analysis System, the journal Lab on a Chip reports. 'The dream of a true lab-on-a-chip has been around for a while, but most systems developed thus far 've not been truly autonomous,' said Ivan Dimov, post-doctoral researcher in bioengineering at UCB, who led the study. ''In our device, there are no external connections or tubing required, so this can truly become a point-of-care system,'' he added, according to a statement from the university. Dimov works in the lab of the study's principal investigator, Luke Lee, professor of bioengineering & co-director of the Berkeley Sensor & Actuator Centre at the university. 'This is a very important development for global healthcare diagnostics,' said Lee. 'Field workers would be able to use this device to detect diseases such as HIV or tuberculosis in a matter of minutes.'' The fact that we reduced the complexity of the biochip & used plastic components makes it much easier to manufacture in high volume at low cost,' he added.